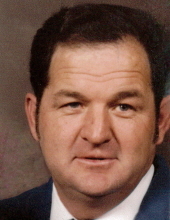 Celebrating the life of Kenneth Wayne Smith, Sr.
Obituary for Kenneth Wayne Smith, Sr.
Kenneth Wayne Smith, SR., of Edgar Springs, MO, formerly of New Cambria, MO, passed away Tuesday, March 26, 2019, at the age of 71. He was born in Rolla on March 13, 1948 to the late Harold and Virginia (Brown) Smith. On November 12, 1966 he married Barbara Skaggs, who survives. Ken owned and successfully operated Smith and Son Lumber Co., a sawmill in New Cambria for many years. He was an avid outdoorsman, enjoying hunting and fishing. His greatest joy was spending time with his grandchildren. In addition to his parents, he was preceded in death by one brother, John Smith; a sister, Bonnie Sisson; a daughter, Angela Smith; one son, Anthony “Tony” Smith; and two great granddaughters. He will be greatly missed by his surviving family which includes his wife of 53 years, Barbara Smith, of Edgar Springs; three sons, Kenneth Wayne Smith Jr. and wife Debbie, of Newburg, MO, Harold “Hank” Smith and wife Tammy, of St. James, MO, and Robert “Bobby” Smith and partner John Sieve, of Villa Ridge, MO; David Gooding, who was considered an adopted son, of Clarksville, MO; six brothers, Dan Smith, Carl Smith and wife Zelma, Joe Smith and wife Lorraine, Dave Smith and wife Christine, all of Newburg, MO, Jerry Smith and wife Kathy, of Dixon, MO, and Will Smith and wife Glenda, of Newburg; three sisters, Laura Myers and husband Chuck, of Indianapolis, IN, Barbara Gabel and husband Jim and Brenda Leggett and husband Don, both of Newburg; one daughter-in-law, Tina Smith; nine grandchildren, Leslie, Kenny III, Kendra, Chelsey, Kyle, Tabby, Shane, Dallas, and Katie; six great grandchildren; one great-great grandson; a host of nieces and nephews; other extended family members and many dear friends. A visitation for the family and friends of Kenneth Smith Sr. will be held from 5-8 pm Friday, March 29, 2019 at the Null and Son Funeral Home in Rolla. Memorial contributions are suggested to Susan G. Komen for the Cure, a non-profit breast cancer prevention and research organization. To send flowers or a remembrance gift to the family of Kenneth Wayne Smith, Sr., please visit our Tribute Store. "Email Address" would like to share the life celebration of Kenneth Wayne Smith, Sr.. Click on the "link" to go to share a favorite memory or leave a condolence message for the family.